Deciding how much and what to pack for a trip can be daunting. There is a fine balance between bringing too many items and not enough. With the added restrictions on baggage size and weight, travelers are many concerns. Simplify your next packing experience with Dot and Dot Travel accessories. 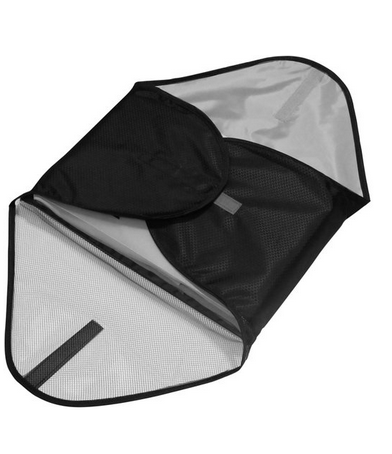 This packing folder can hold between 8-12 shirts or pants. For better packing, this folder maximizes all the space and keeps items neat. From minimizing wrinkles to maximizing organization, this packing folder makes traveling easier. Additionally, Dot and Dot offers a 15" packing folder. The smaller version is perfect for weekend getaways or for kids items. Use one folder per kid to keep all the clothes separate and organized. Reducing the fighting over whose clothes are in what part of suit case. Everyone can find the shirts, shorts or even dress without throwing all the outfits on the floor. Dot and Dot offers a wide variety of travel accessories to make your trip more organizers. These packing folders retail for $20 and$30 . Pack confidently with Dot and Dot. Rest and relaxation are moments away when everything is packed with Dot and Dot packing organizers. Disclosure: The reviewer received these items for purposes of this post. All opinions are her own.